ELMHURST, Queens (WABC) -- The so-called "Coast-to-Coast Bandit" has struck again. Police said he robbed a Chase Bank in Elmurst Monday after an attempted robbery at an Apple Bank nearby. The FBI believes he's behind several other bank robberies in New York and one in Los Angeles. 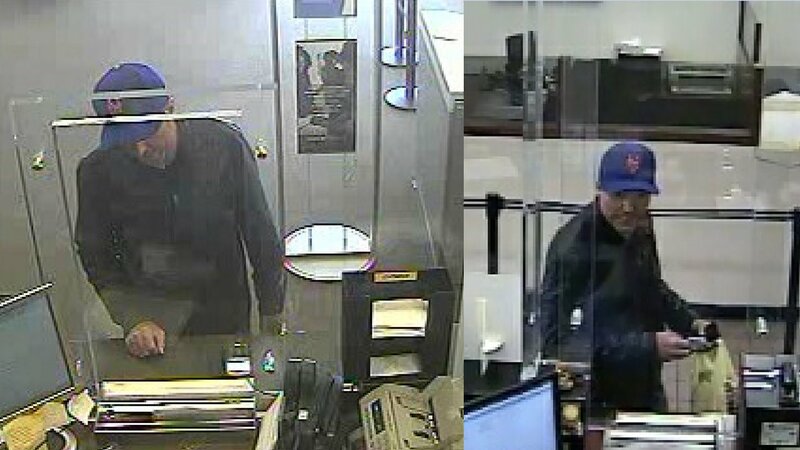 In each case, he wears a baseball cap and hands a note to the teller saying he's armed with a gun. A $5,000 reward is being offered for information leading to his arrest.